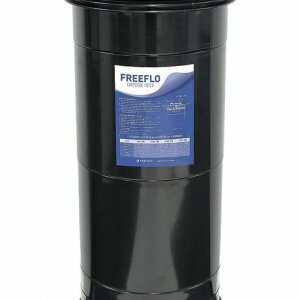 Best Price Pool Equipment stocks cartridge filters that will keep your pool water clean and clear. Contact Nicole for further information on our affordable selection of filters. Smooth and simple operation, pool filter cartridges were initially used for smaller pools. However, with the evolution of pools and spas, filters can now be used to keep pools of all sizes and shapes crystal clear. Reduce the effort and pool maintenance with premium quality strong ABS polycarbonate cartridge filters. 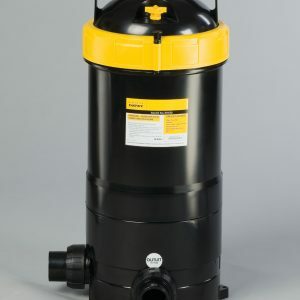 Fitted with quality DuPont Polyester Elements for many years of service life, our filters are fitted with super tough tanks designed with multiple outlet and inlet options. Easy to clean, our wide range of Davey, Waterco, Monarch and Zodiac filters offer a range of benefits that make them the ideal product purchase that will make your summer pool parties a blast. Full 2-year or 5-year tank warranty! An internationally recognised water treatment and filtration company, Davey’s range of cartridge filters is designed for perfect pressure, minimal noise and excellent filtration. Contact Nicole to find out which one best suits your needs. This filter is compact and economical and removes solids from the pool, through pleated polyester filter cartridges. 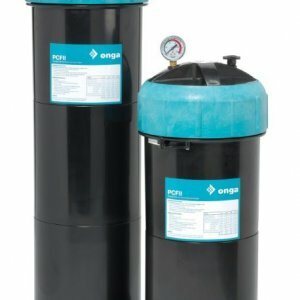 Designed to be top loading, these filters are useful for high viscosity liquids, and they’re easy to remove and replace. Chat to Nicole about which Waterco filter will work best for your pool or spa. A premium product fitted with DuPont polyester elements, Zodiac filters are designed to give you more enjoyment in your pool or spa. These products simplify pool maintenance and remove a lot of the PT involved in keeping the water soft and sparkling. Enjoy your spa or pool minus the debris. 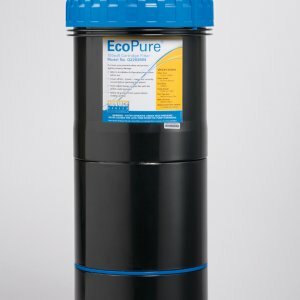 Engineered to house the reputable DuPont polyester element, Monarch EcoPure filters are extremely durable tanks with multiple outlet and inlet options. The different models each have variable water flows and pressure releases. We stock a range of genuine and premium aftermarket pool cartridge filter replacements and elements. These long-life polyester types complement most of our popular models. Contact us when you need a replacement part fast. See our list of models, and check your cartridge filter model carefully for the exact model and sizing. If your model is not listed, email Nicole a photo of the placard nameplate on the filter and we’ll quote you. We stock all popular models for same-day dispatch. Cartridge filter manufacturers do not usually produce their own elements, they are most often provided by cartridge element suppliers; we use the same suppliers for our premium polyester series aftermarket models. All our cartridge filters are premium polyester products. Cartridge replacement elements are only available for online orders, which are supplied with free delivery. Click the ‘buy now’ button and enter your model as listed below and a dispatch confirmation will be emailed to you, for tracking. We display our top selling product range on our website, call Nicole for a quote on any brand or model not shown and we’ll give you our best price, in addition to free delivery to your home or office. Based in Perth, we supply customers throughout Western Australia. Call or email Nicole for great service and excellent customer care. We simply do not have room for them at our shop premises so we provide free delivery direct from our warehouse in Perth. Deal directly with the business owner. Call Nicole today on 0412 561 620 for personalised service.